We are an extraordinary Day School in the Dutch Lowlands of Sint Maarten. CIA is an accredited International School through the Ontario Ministry of Education and is inspected every year. Our graduates receive an Ontario Secondary School Graduation Diploma and, up to 90% of our students go on to attend College or University in Canada, United States, and Europe. CIA also offers complete pre-school to grade twelve programs. Parents who wish to send their son or daughter to our school can find all of the necessary information on our website. It offers the opportunity to research our academic programs as well as provide detailed curriculum information about the Elementary School, and the Secondary School’s credit system. Information about the many extracurricular activities offered at CIA is in our monthly newsletter as well as pictures and articles on Facebook and our website. "...fostering an optimal learning environment for all students." The Caribbean International Academy faculty are highly trained professionals who are involved in all aspects of school life. They strive to engage each student through personalized attention with studies as well as by participating in a wide range of extra-curricular activities. The positive atmosphere created by our teachers allows our students unique opportunities to grow both academically and as an individual. Administration members aim to set their students up for success. They play an integral role in each students personalized journey at CIA. The teachers give students one on one aid in course selection, after school tutoring and even help to guide students regarding their future studies beyond secondary school. Our faculty are knowledgeable professionals who are creative, compassionate and dedicated to fostering an optimal learning environment for all students. Caribbean International Academy is committed to promoting a caring goal-oriented environment that fosters academic excellence, personal growth and a love for life long learning. It is the goal of CIA to prepare students for post secondary education and other pathways of success. Caribbean International Academy believes that education must address the whole person. The Academy has been established to provide academic and extracurricular programs that support the development of students emotionally, physically and intellectually. Caribbean International Academy upholds a respect for human diversity, a tolerance for beliefs different from our own, and a compassion for others. 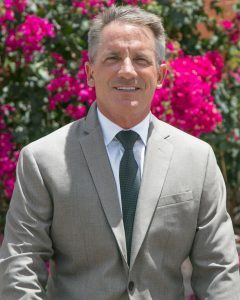 CIA encourages individual and social responsibility and promotes a balanced lifestyle in school as well as in community and after- school activities. Although CIA opened its doors for the first time in September 2003, its owners are no strangers to quality education. CIA is the third school Huguette Halley has opened. In 1990, she started a small daycare for toddlers and young children and it was filled to capacity on its opening day. In 1993, she opened a Montessori day school which operated at full capacity from the opening day as well. The Montessori school houses 165 students ranging from ages 3 to 10 with a waiting list of up to a year. 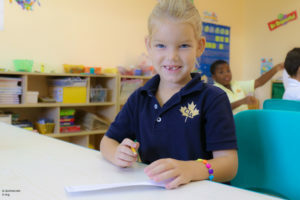 After opening this school, Ms. Halley decided to offer a continuation of learning for grades 7-12 for Montessori students as well as for others in St. Maarten. In 2007, they were able to offer primary education for grades 1-5. Their quest for an exemplary education took them to Ontario, Canada where they partnered with the Ministry of Ontario to provide an excellent middle and secondary school education in St. Maarten. Caribbean International Academy is an accredited offshore Canadian school authorized to grant specific academic credentials. Students graduating from CIA do so with a Ontario Secondary School Diploma granted through the Ministry of Education in Ontario, Canada. What are Community Service Hours? The Ontario Ministry of Education requires every student receiving an Ontario High School Diploma to complete a minimum of 40 hours of Community Service between Grade 9 and Grade 12. For more information, please see our Guidance Counselor. Is the Ontario Diploma Globally Recognized? Absolutely! Our graduates go on to universities in the United States, Canada, England, Scotland, Holland, France and many more countries. The Caribbean International Academy Ontario Diploma is an impressive stepping stone for any future endeavors.